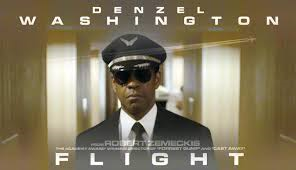 After 12 years roaming the CGI wilderness Robert Zemeckis makes a welcome return to the world of live action movie making with Flight, a film about maverick aeroplane pilot Whip Whitaker (Denzel Washington) who’s ingenuity saves countless lives on a charter cross-country flight after a technical malfunction kills the craft’s engine power and forces him to make an against-all-odds crash landing. I generally approach Denzel Washington vehicles with caution but the lure of Zemeckis in the director’s seat overruled any preconceptions of another snooze-worthy by-the-numbers turn from every footballer and casual cinema-goer’s favourite actor and put Flight high up my anticipation list for 2013. In fact, one of Zemeckis’s strengths is his actor play and he coerces an incredibly watchable performance from the Oscar winner and his subtleties with the camera allow Washington to quickly grow into the role and carry the film. After the crash Whitaker’s heroism is the subject of intense media scrutiny eventually leading to intrusions into his personal life which unearths the inevitable discovery of darkness inside the man. It’s not that Whitaker has created a fake holier-than-thou persona a la Lance Armstrong, he doesn’t thrive on attention of any sort in fact he despises it, he knows he has dependencies and lack of control over his vices but at the same time he knows he’s good at his job discounting any moral issues that arise from mixing the two. Upon discovery, thanks to two empty mini vodka bottles found in the cockpit bin, he tries to lay the blame with a colleague who perished in the crash thus absolving him of any wrong-doing in the eyes of the public and, more importantly, a few years in the county pen. The secondary storyline revolves around a romantic subplot with Nicole (Kelly Reilly), an equally fractured soul who is supposed to give us access to Whitaker’s everyday actions but doesn’t quite achieve any further understanding of him or develop any character progression. 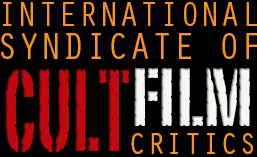 It carries more a tinge of the manufactured, even becoming superfluous to the point that every scene with Reilly in is clock-watchingly boring and when the plot is finally alleviated of her presence her whole participation does feel quite like wasted time. It also doesn’t help that she bears a passing resemblance to Meep from Jim Henson’s Muppets. Fleshing out the support cast are Don Cheadle as the lawyer who makes light work of finding flaws in the system to get Whitaker out of trouble relatively scott free, Bruce Greenwood as Kip’s old pilot pal and John Goodman as Kip’s old party pal. Cheadle brings a calculated, educated nous to his role and performs without a hitch and Greenwood is as straight laced as you’d expect a secondary flight captain without a developed character to be while Goodman channels The Big Lebowski’s Walter Sobchak and seems like an odd fit to the overly serious and dour tone. He doesn’t overplay it and is obviously supposed to provide comic relief but at times his character comes across as a little too overcooked, yes he and Kip went to parties and took drugs together but does he really need to elaborate on this in every scene he appears? We get it. The technical side of Flight belongs to the stunning crash scene at the beginning of the film, an awe inspiring sequence of gravity defying proportions is given added tension by Zemeckis’s wily camera placement. Either keeping us in suspense with the passengers or mopping our brow with the cabin crew, he gives Washington just enough rope that we’re the proverbial child clinging to his leg knowing that this is the safest place to be. Unfortunately this early point is also the peak and the descent albeit a slow, smooth one is still a descent nonetheless and, as hard as Washington tries, he can’t carry the filler parts of the film on his already overburdened shoulders. Flight isn’t a bad film it’s just not a great film, it has enough to make it a passable character study into the addictive side of man but does ramble and stutter in places and can do with a character dropped and some run time shaved off its final cut. However, it is an absolute joy to welcome Robert Zemeckis back into the real-life fold and no matter how rusty he seems with this comeback after his 12 year sabbatical he shows enough of his best strengths are still there so it’s just a simple matter of tweaking the other things. Welcome back Bob.